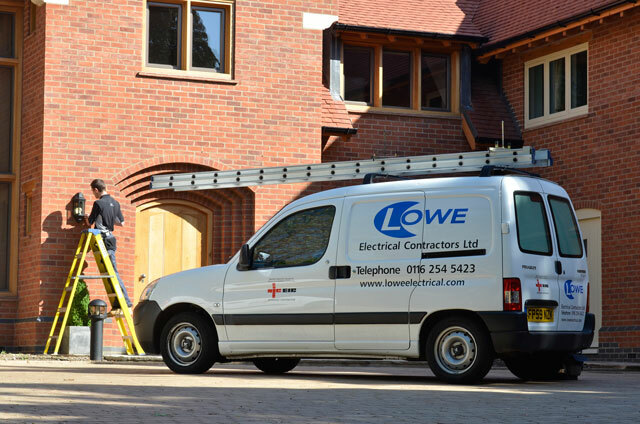 Lowe Electrical based in Leicester, specialise in the design and installation of security around your home. We will give you peace of mind and help protect your home and family with CCTV systems using 24 hour surveillance and recording equipment. Used both inside and outside your home CCTV can assist in providing you complete protection and are an excellent deterrent against thieves and vandals. From our first visit to your home, we will decide on the placement of surveillance cameras, security lighting and the implementation of control and recording equipment, enabling the best position to observe your premises and protect it from the threat of break-ins, burglaries and vandalism. We will advise you on which monitoring and control equipment is most suitable to your requirements and budget and we can provide a range of cameras from medium to high resolution which operate effectively in various light levels. Looking for an Electrical Contractor in Leicester?